Cardboard Keep have announced that they are bringing their game Witch Thief over to the Nintendo Switch. 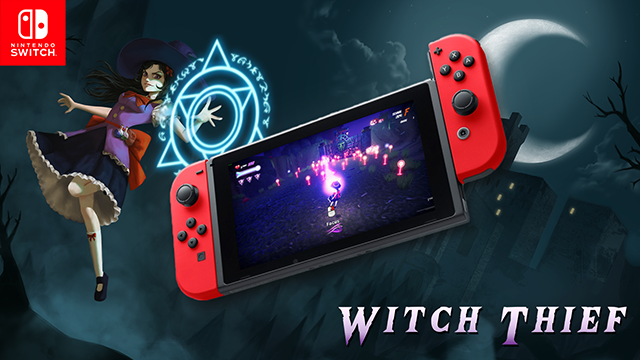 Witch Thief will be available to purchase digitally on the Nintendo Switch eShop on April 19th. The game is a bullet hell shooter that puts players in the shoes of a sassy Witch on a quest to get her hands on a fabled Grimoire. You can read more in the announcement below as well as a trailer. Canberra, 11 April 2019: Cardboard Keep today announced Witch Thief will be arriving on the Nintendo eShop for Switch on April 19th.